Product information "Portable curb ramp"
Curbs and thresholds one inch or more high are a real challenge for smaller wheelchair and scooter wheels. 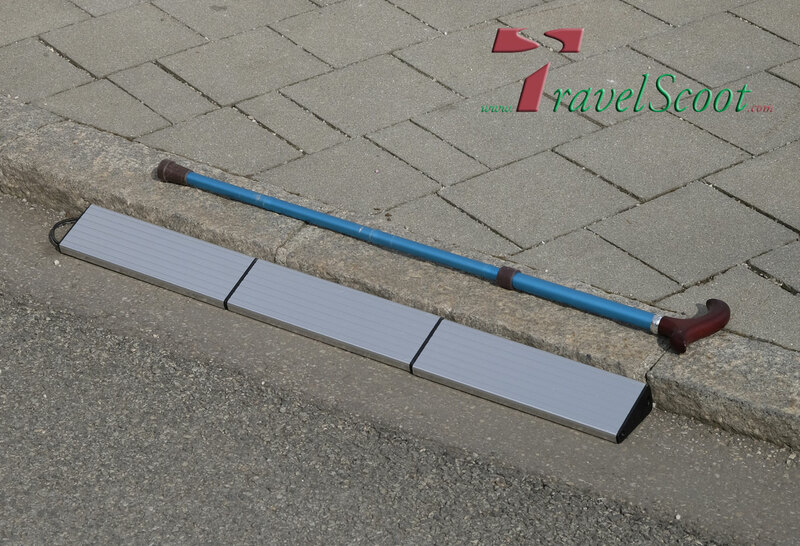 Our 31.5” wide double-folding ramp increases your roll-over height by about 2 inches so you can now clear curbs up to 3 inches high without difficulty. The Porta-Ramp weighs less than 3 lbs., and you can lay it down and pick it up without having to get off your scooter. The included handy folding cane serves as a pick-up tool. 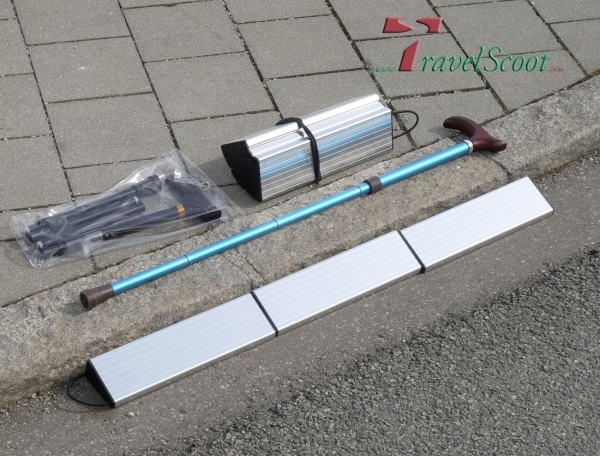 Related links to "Portable curb ramp"